All the way north along Highway 400, the leaves on the trees are still green. An hour from Toronto, there’s just a hint of autumn. The air is fresh and cool. 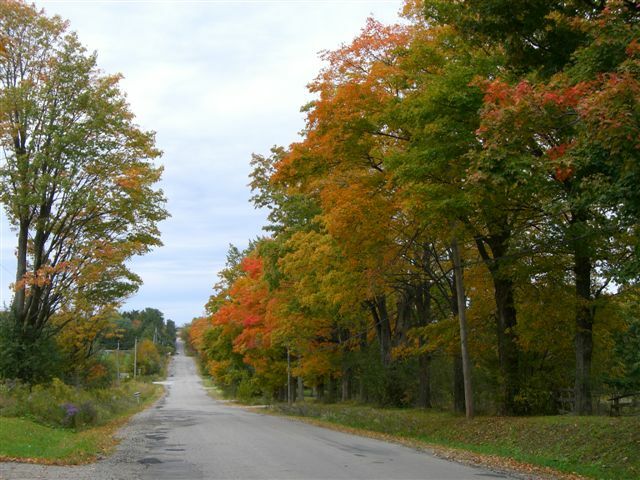 Some leaves – not many yet – on a few trees are turning yellowish or pinkish or reddish. Our car crosses over bridges, large bodies of lake water on both sides, evergreen cedars and pines and spruces hugging the shoreline. 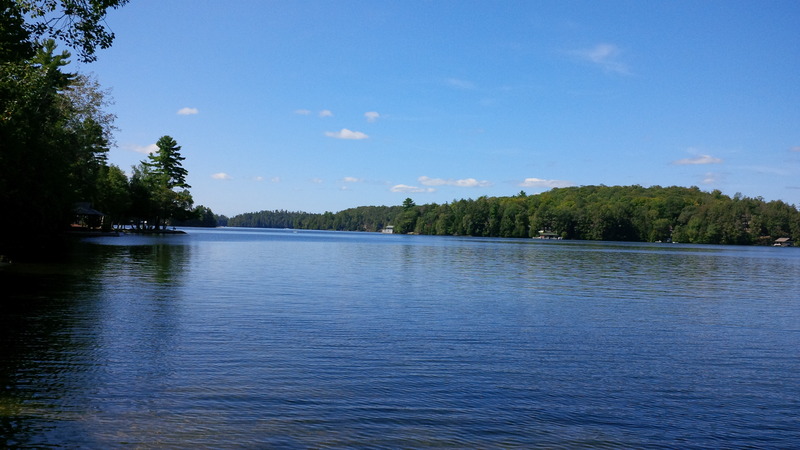 We’re in cottage country now, no doubt about it. It feels like a far way from Toronto, though it’s only a couple hours’ drive. We leave the highways behind. The road narrows and the trees and bushes seem only an arm’s length from my window. Up here, the red, russet and yellow leaves signal that fall has arrived. “A minute ago, the trees were still mostly green!” says Lisa, who’s driving. MerriLynn and I agree. We turn right on an even narrower lane, then down a driveway towards the lake. The car pulls up beside a large, two-story, flat-roofed house that looks like it was built by Frank Lloyd Wright, except that it seems brand new. The exterior is clad with dark brown wood, the roof-line and doors trimmed with black. Debbie, our host, greets us immediately. She leads us inside. We drop our bags on a hallway bench and follow her. It’s a stunningly beautiful house – an interesting mix of modern and traditional. A large family room with library is to the left; a big, yet comfy, kitchen and dining area to the right. Large windows reveal the lake, its surface gleaming in the light, reflecting the pine, white birch and cedar trees that flank the water. The house, the lake, our hosts – all make us feel welcome and relaxed. We sit at one end of a massive dark maple dining table for a late lunch. The tomatoes, the radicchio, and almost everything else we eat come from Debbie’s sprawling garden near the kitchen. We rest then head off for a walk down to the dock, then through the woods. Late September. Not the best time for a swim in the lake, but the very best time for a walk in the woods along the shoreline. No mosquitoes, no deer flies. The house was built by engineer Jim Lischkoff, designed by son Chris. Debbie’s mother Gladys also lives here. She’s 90. Perhaps that’s why there’s a feeling of history to this brand-new house, built by family members, loved by three generations of one family. We ask Gladys about her earlier years: her family and the homes she’s lived in. Her memories, going back to childhood, are clear and vivid. Gladys’ storytelling talents are shared by her daughter Debbie. We sit at the table with them and Gladys’ caregiver Anna, wanting the stories to continue. In a few hours, it’s evening. We are joined by a steady stream of visitors. 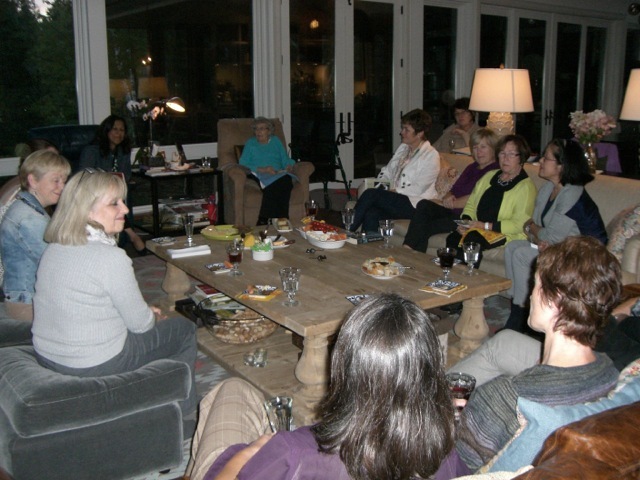 The members of Debbie’s book club gather in this beautiful lakeside home. It is my turn to tell and read stories — about the homes I’ve lived in, the generations of my family, the experiences they and I have shared. Of course: they’ve seen my photo on the back cover of the book. They already know it’s me. It’s my first time with a group of people who have all read my book, and I decide to try something new: before reading an excerpt to them, before making any comments, I ask the group to share their reactions to the book. The responses are spontaneous and warm. 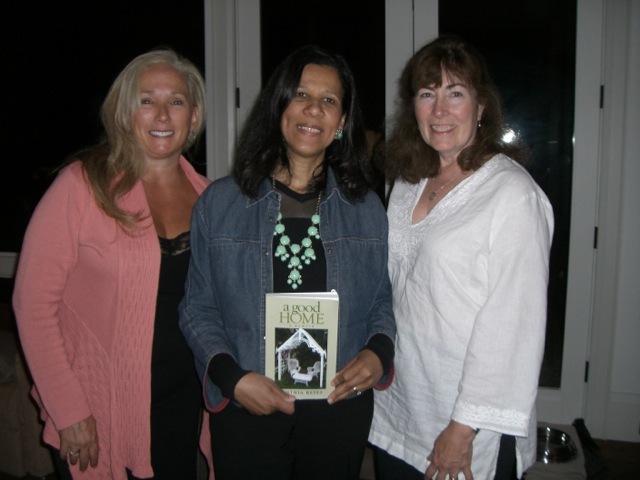 The women talk about the homes in the book, the characters, the events, the universal themes of childhood, whether one is a young girl in Jamaica or a young girl in Canada. It’s a lively give and take between my intentions as an author and their reactions as readers. We share thoughts about reflection, redemption, recovery. It all makes for a rich and enjoyable discussion. Thank you, Limberlost Book Club. And Gladys and Anna, and our mutual friends Lisa and MerriLynn. Thank you, Debbie and Chris and Jim for this stunning yet comfortable house. What a wonderful visit. What a lovely home. Wonderful recount of an exciting, interesting, intimate exchange of thoughts about you and your book as author of “a good HOME”. Glad you like it, Errol and Jia. Karen, the privilege was mine!